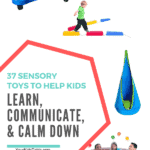 Over 40 heavy work activities for kids, toddlers, and preschoolers that are designed to help calm and improve attention. 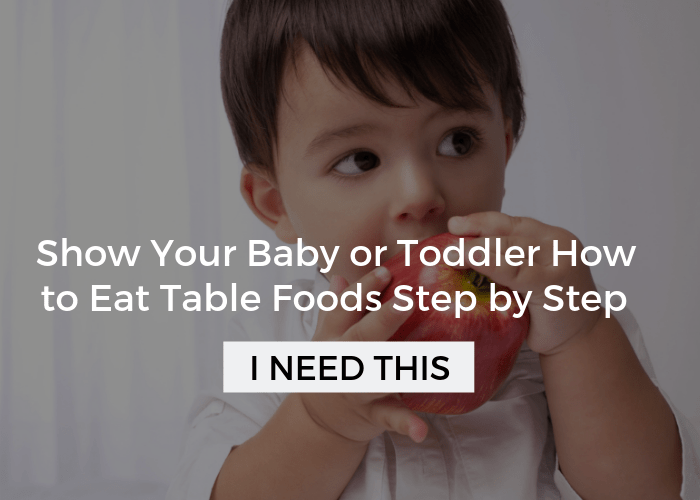 Many of these activities can be done through natural activities your child is already doing! He runs, spins a little, crashes into things, and is very loud. Since I was fixated on finding the green beans, my patience level was dropping quickly, hence the deep breath. That’s when an occupational therapy/sensory trick popped into mind: heavy work activities. I was in the perfect spot to leverage this. Now that I was thinking clearly, I went over to him, placing a hand firmly on his shoulder to get his attention, and spoke simply right into his face so that I knew he heard me. I said, “I need your help getting our food.” We headed to the canned goods aisle and I had him pick up and put everything he could into the cart. In part, this strategy was successful because it gave him a sense of purpose and a way to funnel his energy, but he was also getting lots of calming proprioceptive input through this heavy work activity. What are Heavy Work Activities? Heavy work activities are anything that involves pushing, pulling, or lifting heavy objects or items, and they are a type of sensory activity. Lots of playground activities and household chores qualify as heavy work activities, but they can also be planned and orchestrated with a few key items. 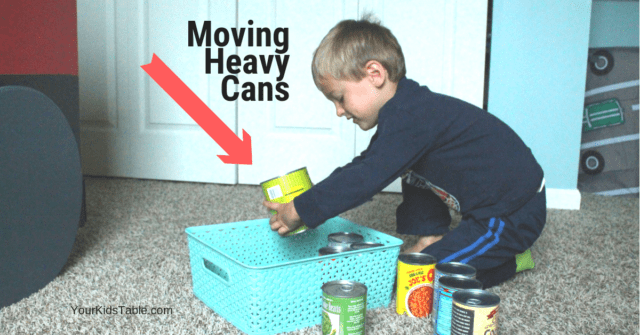 How Can Heavy Work Activities Help Kids? The key ingredient to every heavy work activity is that it stimulates our sense of proprioception, which is one of our senses that you may have never learned about. If this is a totally new concept to you, check out this quick run down about the 7 senses. Proprioception is stimulated through running, jumping, crashing, hugging, climbing, pushing, lifting, and pulling. 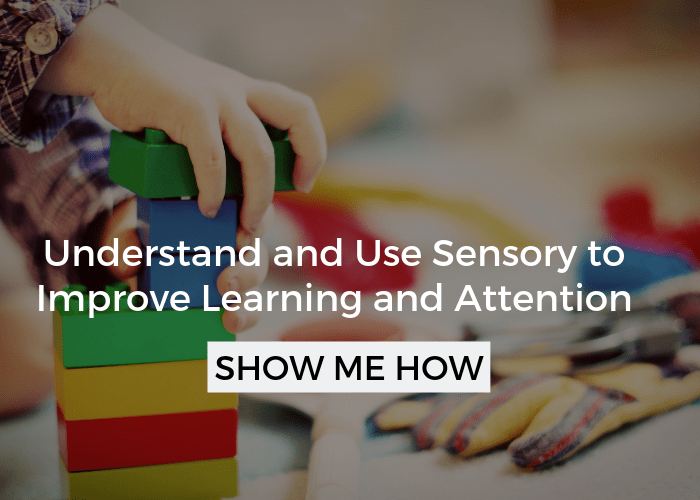 MANY kids, adults, and those with special needs like Autism and Sensory Processing Disorder (SPD), relax, calm down, and even have improved focus when they get propriocpetive input. Heavy work is one direct way to get that type of input through an organized activity. 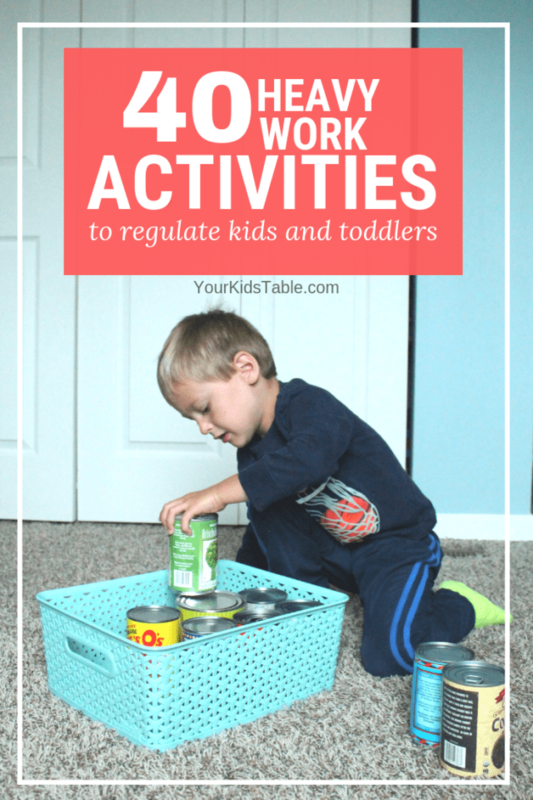 In the same way that my son was able to calm and focus in a busy grocery store, heavy work activities can also help at home and be a natural way to get sensory needs met with very little effort. As an occupational therapist, I love that! Of course, as with any sensory activity, heavy work is not a one-size-fits-all kind of deal. While some children, with or without a diagnosis respond very well to them, they may have little effect on others. 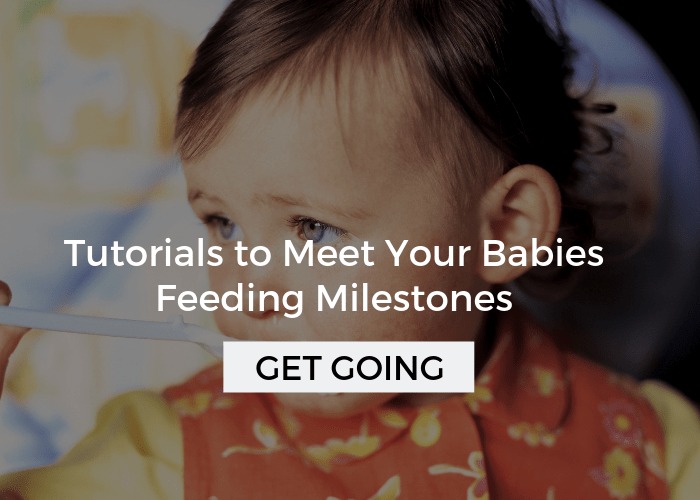 When a child does show calming and improved attention, there are a ton of different ways to either incorporate them into your routine or set aside some time to make them happen. 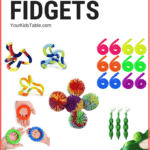 They work beautifully with a sensory diet. 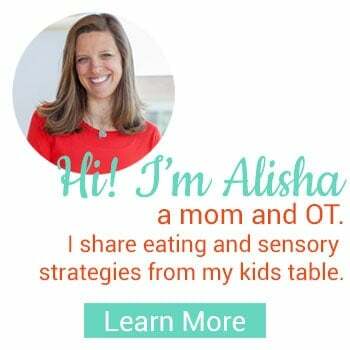 Learn what a sensory diet is here. Heavy work activities can be used in a pinch, like the grocery store, or as part of a plan that’s been thought out in advance. For instance, you might notice that every time your 7 year old gets home from school they’re bouncing off the walls, fidgety, and have a hard time communicating. You have seen other signs that they like proprioceptive input (aka excessive jumping or crashing into things). You could have some options for heavy work activities shortly after he gets home, maybe he can rake up the leaves or unload the groceries? Or perhaps he gets on the swing set and does some pull-ups? The opportunities are endless and the list of heavy work activities below will help you figure out some possibilities for your child. 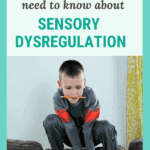 Keep in mind that heavy work activities might just be one of an arsenal of tools you have for helping your child regulate their sensory needs and thus improve their ability to relax and be attentive. 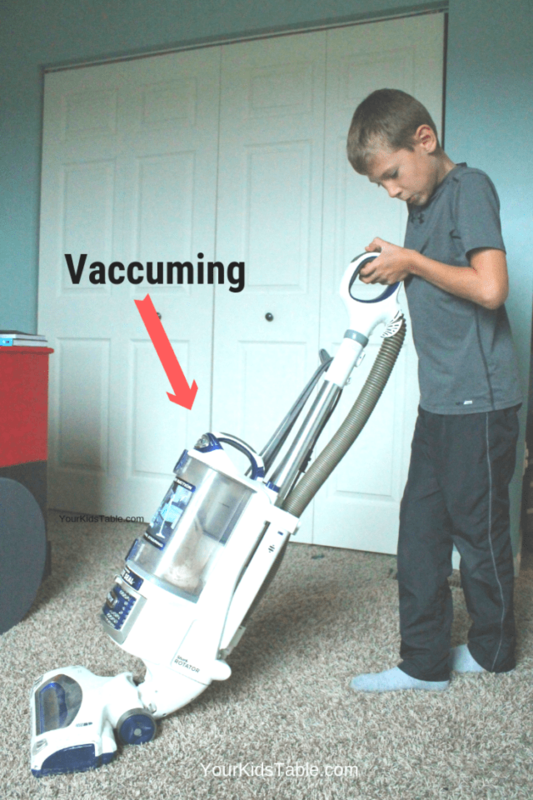 Your child may not want to do heavy work activities every single day. Some days they may want to jump on a trampoline or hang out in their cool down tent. 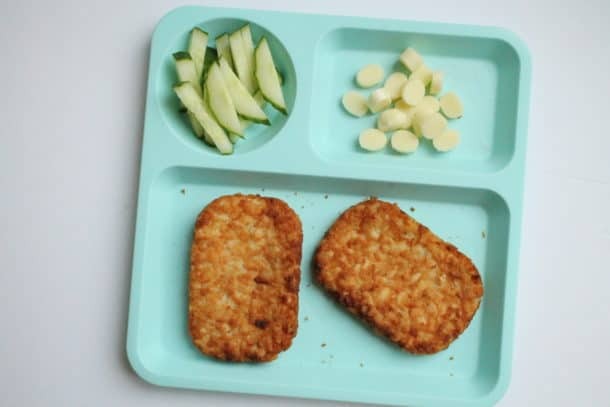 Sensory diet cards can be a great tool when you want your child to have some options with a visual prompt to help them. 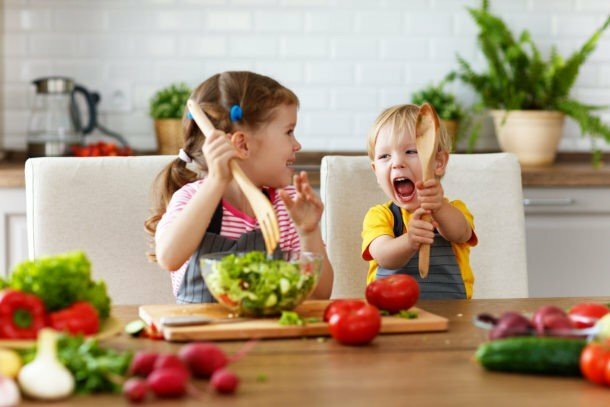 Lastly, it’s important to never force sensory activities, the only exception is if your child needs to complete their chores, which may also happen be laced with heavy work! 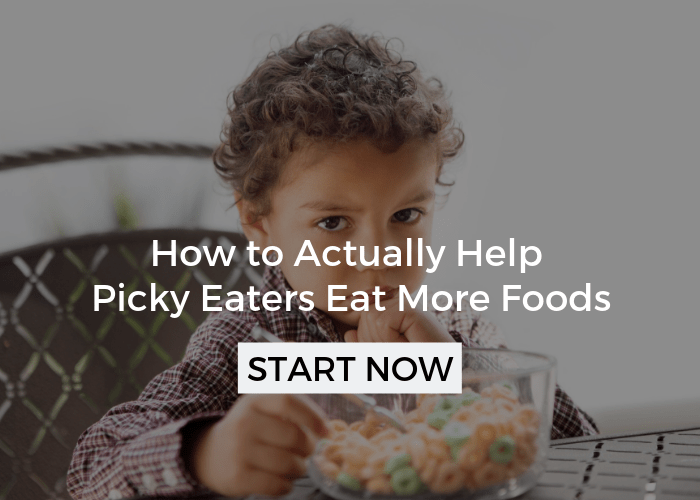 Since there are so many options for heavy work activities, I’ve organized them into a few categories to help you find the best options for your child. Chair push ups (use arms on sides of chairs to raise and lower body, perfect for a school setting or any table activities). Push open doors to stores/doctors office/etc. 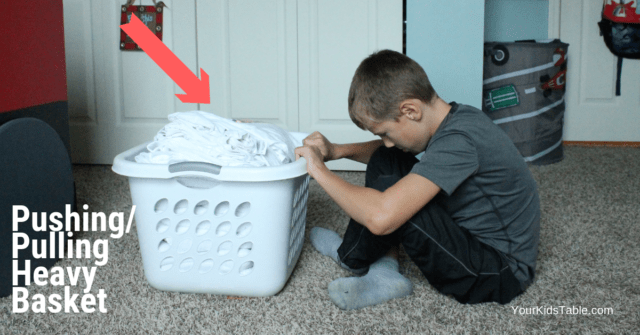 Tie a rope around a box or to a laundry basket and allow them to pull it. Find medicine balls for kids and toddlers here. Find scooter boards here or if you’re handy make your own. Everyone’s got a laundry basket! Find yoga or exercise balls here. Find these weighted sensory balls here. Obviously, you’ll need a rope! Crawl through a fabric tunnel (this provides a lot of resistance). 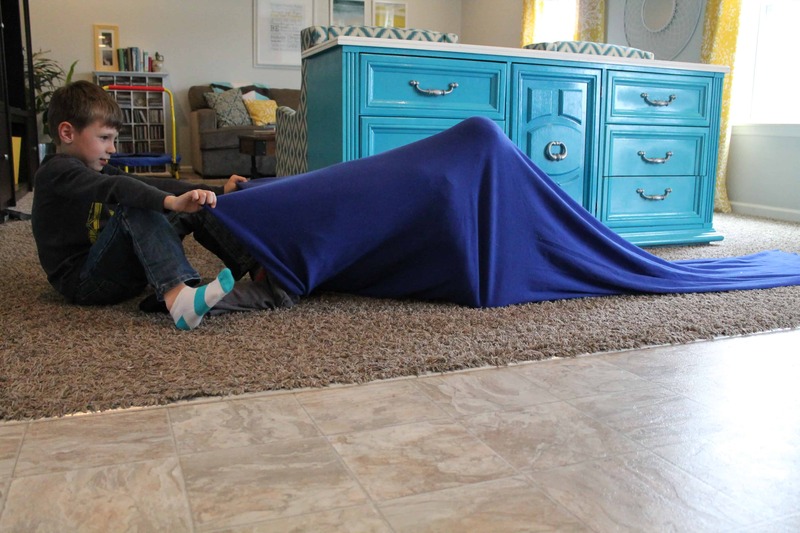 Find a ready-made sensory tunnel here or check out my sensory tunnel post with DIY instructions. Lean into the wall with both palms, arms straight as if your holding up the wall. No matter what type of heavy work activity you’re child is doing, remember that you’ll want to look for their response. Do they seem focused and relaxed either during or after the activity? Would it help to follow up with some sensory input like listening to quiet music, swinging, or hanging out in a cool down spot? It’s important to know why we’re giving sensory activities to our kids and not just do them for the sake of doing them. Understanding why, and seeing the benefit, helps you choose heavy work activities wisely in the future. 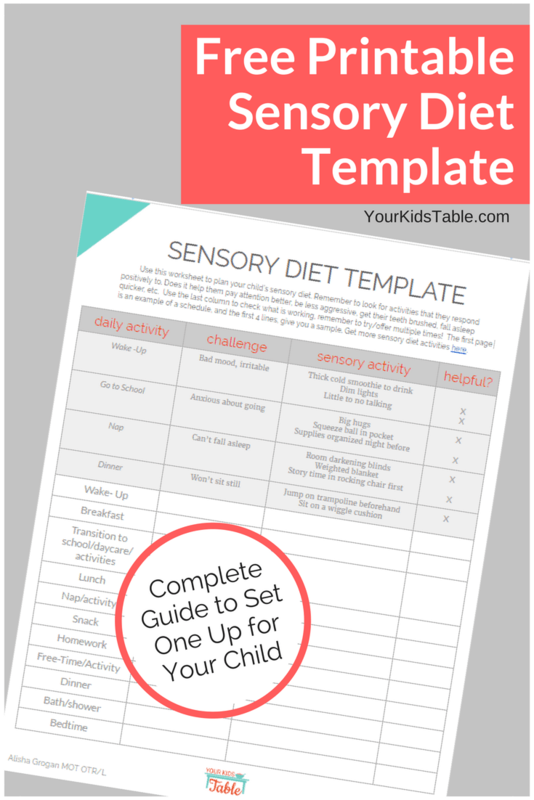 If you need help planning your child’s sensory activities or building a sensory diet that is easy, grab our sensory diet template printable for free right here! 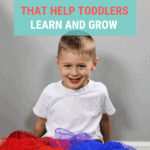 Now I want to hear from you, what were you surprised to learn was a heavy work activity and how are you going to use them with your kiddo. Scroll down and tell me in the comments!! You could need this list again, know where to find it and pin it! Yet one more great reminder from you…definitely seeing my DS 8 y/o grabbing heavy bags and baskets…reveling in mini-trampoline breaks from table work, and delighting in deep squeezy hugs! Just wish I was quicker to remember so many of his disruptive behaviors speak of a sensory need! Thank for opening this world to me! Oh Carrie, you’re so welcome and let me tell you when I’m wearing my mom hat, I miss these things in my kids sometimes too! Love these strategies and they make so much sense! All schools should have this on the teacher training to look out for! Now I know why my son loves and is so focused on gymnastics and Taekwondo, why he jumps up and down etc etc. And why he constantly plays with dinosaurs – all those spikes, teeth and different shapes, all meeting his sensory needs. I shall be sharing this with his SEN teacher and look to incorporate some of these strategies at school. Thank you! YAY!!! I love hearing this Claire, seriously I’m such a dork about sensory and I love when a parent gets to learn this about their child for the first time!! This is so great. My 3 hear old has been kicked out of a daycare because they thought he was autistic or some kind of special needs because he wouldn’t focus or listen well. His doctor completely disagrees and says he just has a lot of energy and is stubborn. We have done this type of stuff in the past, like letting him carry a 5lb bag of potatoes from the store to the car, which he loved, without know what it was called that we were doing. I have to remember some of these ideas because it truly does work! That’s great Kira! So many everyday activities can achieve results!